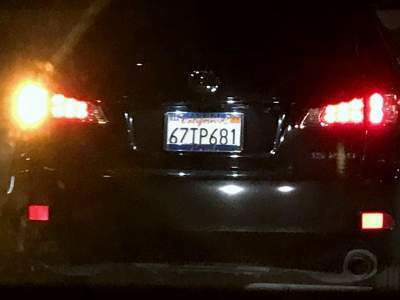 Unfortunately for the suspects our witness was able to take pictures of their vehicle’s license plate. 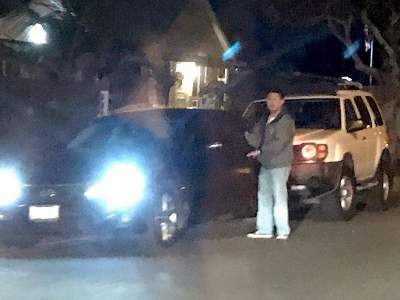 Another reader called the SAPD when they found that someone had secured U.S. Representative Lou Correa’s sign with wires on Standard & Edinger. SAPD came out. Anecdotally we have heard that many campaign signs have been disappearing overnight. Every night. That happens in every election – and it is illegal! 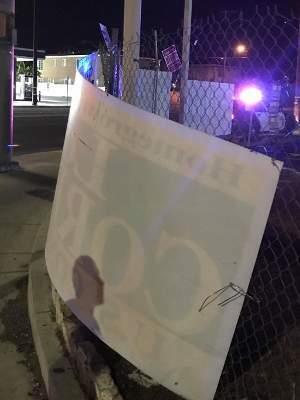 If you see anyone stealing signs please call the SAPD at 714-245-8665. And if you see signs posted on public spaces, which is also illegal, be sure to report that to the City of Santa Ana’s Public Works department at 714-647-5400.